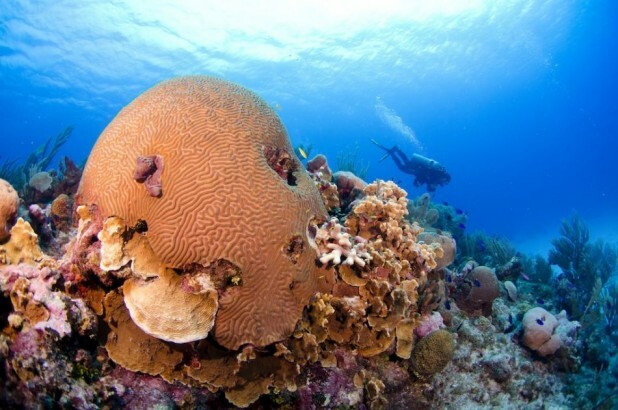 To participate in the rescue training sessions in open water in the Cayman Islands, and to participate in the open water rescue scenarios, you must be certified as a PADI Advanced Open Water Diver or have a qualifying certification from another training organization. The Rescue Diver Course is conducted at the Ocean Frontiers Dive Center in Grand Cayman in the Cayman Islands. After working through the PADI Rescue Diver course online (desktop version) and completing all the segments, you can print your eLearning Record and bring it with you to the Cayman Islands to start your underwater challenges with us here at the Ocean Frontiers Dive Center. *Please note that the above cost does not include the PADI eLearning fees of US$184.00 which are payable online when you sign onto the program or you can pre-pay with us and we'll send you the access token / code. Choose from the options bellow in the shopping cart. Sign Up for Rescue Diver eLearning with PADI here. Take a step toward emergency preparedness and meet PADI Rescue Diver prerequisites with Emergency First Response. As one of the foremost international CPR and first aid training companies, Emergency First Response gives you the confidence to respond to medical emergencies -- not just in the diving world, but in your every day world with your family, friends, neighbors and coworkers too. After enrolling, PADI's eLearning system presents you with interactive presentations that include videos, audio, graphics and reading. Short quizzes let you check understanding of the presented information before moving on. This lets you go through the program efficiently and at your own pace. End-of-section exams verify your mastery of the entire topic and are automatically scored. After completing the online portion of the PADI Rescue Diver Course you'll visit your PADI Dive Center (Ocean Frontiers Ltd) to complete your training. You'll take a short eLearning Quick Review to confirm your understanding of safety-related material from the course. Then, you'll complete the inwater training portion of the course. Your instructor will have you complete ten rescue exercises in open water, either with or without initial skills practice in confined water. Finally, you participate in two Rescue Diver Scenarios in open water. The eLearning course fee for PADI Rescue Diver Course Online is US$184.00, non-refundable. The Ocean Frontiers Dive Center will charge a separate fee of US$399 for completing your practical rescue training exercises and scenarios. The PADI Rescue Diver Course online will take approximately 10 - 12 hours to complete. Once you finish the eLearning portion of the course, the Ocean Frontiers Dive Center is notified that you have completed it and that you are ready for the practical phase of the program. At the end of the eLearning program, you can print out your eRecord and bring a copy of it with you to show your PADI Instructor at Ocean Frontiers.